Seven mekoro and hundreds of kilograms of batteries, food supplies, advanced research equipment, cameras and expedition gear being packed and re-packed…we started at the HALO Trust base in Menongue, Angola, getting ready for the launch of the 2015 “Source-to-Sand” Okavango River Expedition on the 21st May from the source of the Rio Cuito. Our team is embarking on a 10-week, 1,800km research expedition down the length of the Cuito River past the junction with the Cubango River, across the Okavango Delta, and all the way to the end of the Boteti River in our mekoro from “Source-to-Sand”. Four explorers from the National Geographic Society, Dr Steve Boyes (Founder & Project Leader), Jer Thorp (intotheokavango.org), Shah Selbe (environmental sensors), and Gregg Treinish (citizen science) have partnered to build a conservation, outreach and research project that guarantees the future of the Okavango Delta and the river that floods it. National Geographic is producing a feature documentary film, a 1-hour special, a feature magazine article, and a large-format coffee table book based on this expedition. We are incredibly lucky to have Neil Gelinas (filmmaker), Cory Richards (photographer) and Alexandra Fuller (writer) working on this important National geographic project. National Geographic is a powerful platform for “conservation media” and the Okavango Wilderness Project has been designed to maximise our impact. 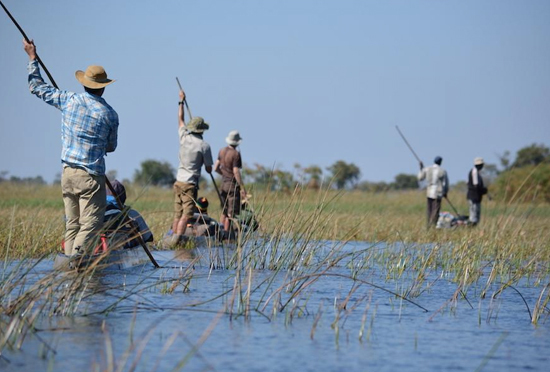 Please follow us at intotheokavango.org and get the entire Ngamiland community to follow #okavango15 @intotheokavango. We need to rally behind this ground-breaking project to deliver on its long-term objectives. 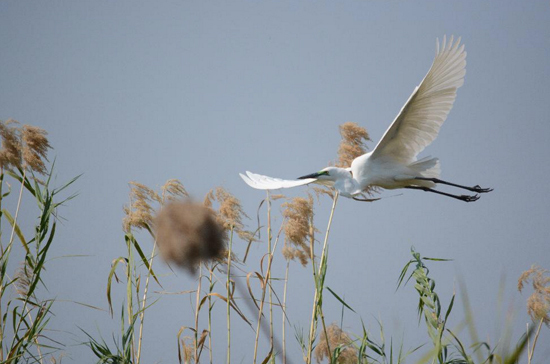 We have poled ourselves across the delta five times, every year since 2010, to better understand the relationship between 72 wetland bird species and the receding floods between July and the end of September. UNESCO World Heritage Listing in June last year was our call-to-action to expand our research and include the entire Cubango-Okavango River Basin, the world’s largest undeveloped river catchment. 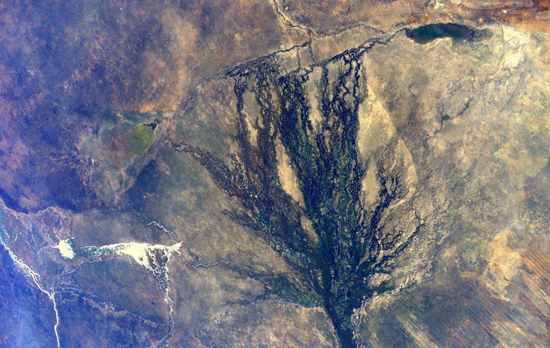 The only river that is longer without dams is the Yukon River in Canada. This year, we have Prof Bill Branch (reptiles), Prof Nigel Barker (plants), Prof Paul Skelton (fish), Dr David Gowder (plants), Dr Werner Conradie (reptiles), Gotz Neef (aquatic insects), and Maans Booysen (birds) along with several local experts and research assistants are joining this ground-breaking expedition. Our partners at Kew Gardens (Surrey) recently identified the upper catchment of the Cuito River above Cuito Carnavale as the “least sampled location on the planet for botanical diversity”. All experts are very excited and predict several new reptile, plant, fish, dragonfly and even mammal species. Maans Booysen has already picked up several new bird species for the Angola list. 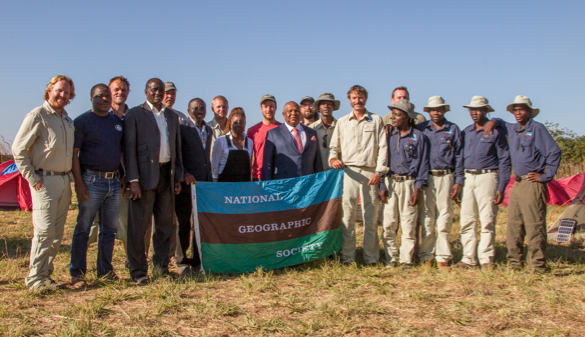 This will be the first scientific team to explore the Cuito’s upper catchment. We will be sharing our data and findings with the Southern African Regional Environmental Program, the Okavango River Commission (OKACOM) and the Kavango-Zambezi Secretariat. The tourism industry needs to do everything it can to support tourism development upstream. The Okavango Wilderness Project aims to build that “bridge” and unite the peoples of the Okavango River Basin, their collective lifeline that unites three countries. We are taking five baYeyi polers with us to meet the remote communities upstream, find a common interest and fellowship, and take these stories back to their villages on the periphery of the Okavango Delta. Get involved and share the expedition experience by following our real-time progress using our platform intotheokavango.org, which displays our movement across a satellite image LIVE and shares all wildlife sightings, habitat photos, research data and personal biometrics of the expedition team in real-time. 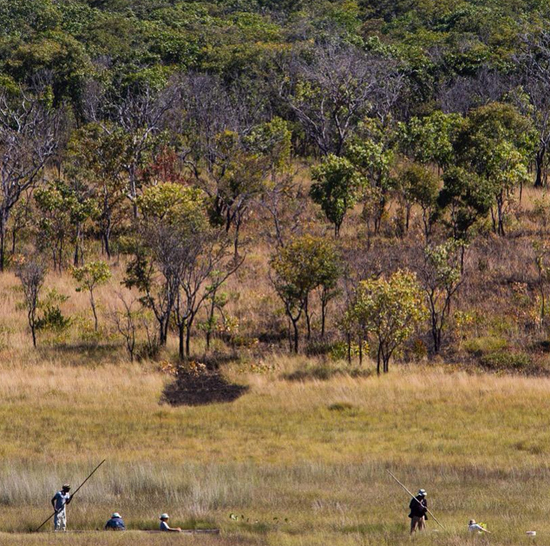 Follow #okavango15 and @intotheokavango on Twitter. Like “Okavango Wilderness Project” on Facebook. Tweet in words to encouragement to the expedition team and comment on how the project is progressing… Next update on 19th June.